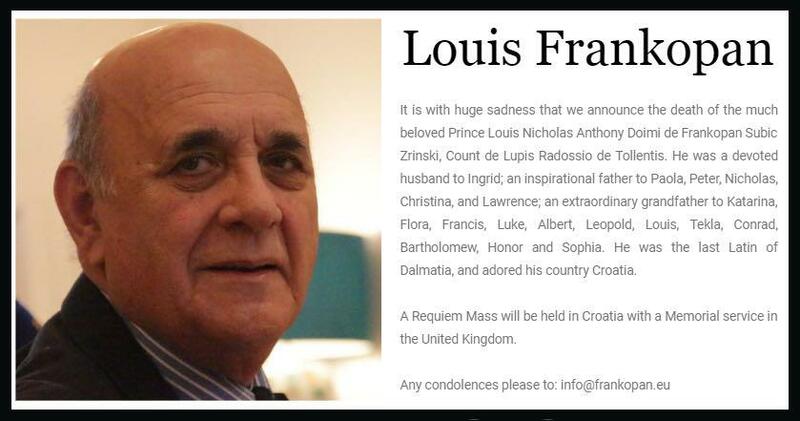 “We are very saddened by the news of the passing of Louis de Frankopan, the husband to Prof. Dr. Ingrid Detter de Frankopan,” says Robert J. Gaudet, Jr. who is joined other members of RJ Gaudet & Associates LLC in extending their deepest sympathies to Prof. Detter and her family. A Requiem Memorial Mass in the memory of Mr. Frankopan will be held on December 14, 2018 in the Brompton Oratory, Church of the Immaculate Heart of Mary, on Brompton Road in London, England. Prof. Detter met Mr. Frankopan when they were students at Oxford University. 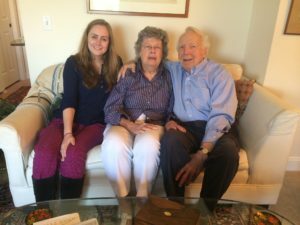 It was the start of a life-long partnership and love of 50 years with numerous children and grandchildren. Mr. Frankopan’s surviving spouse, Prof. Detter, is an accomplished Barrister and author of books on international law including the recently published “Philosophy of the Law of Nations” published by Montesa Jagellonica in 2018. She served as a legal advisor to His Holiness Pope John Paul II and represented the nation of Dominica in legal proceedings. More recently, Prof. Detter served as an expert on international law in a federal court in California opining as to whether a terrorist act may constitute an act of war. 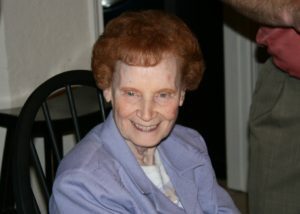 Her husband will be greatly missed by his friends and family. Invitation To Pre-Thanksgiving Blessing And Talk About Dr. Martin Luther King, Jr. In honor of the first Thanksgiving in North America in 1598 between Juan de Oñate and the Native Americans in the El Paso region, you are cordially invited to meet Rev. 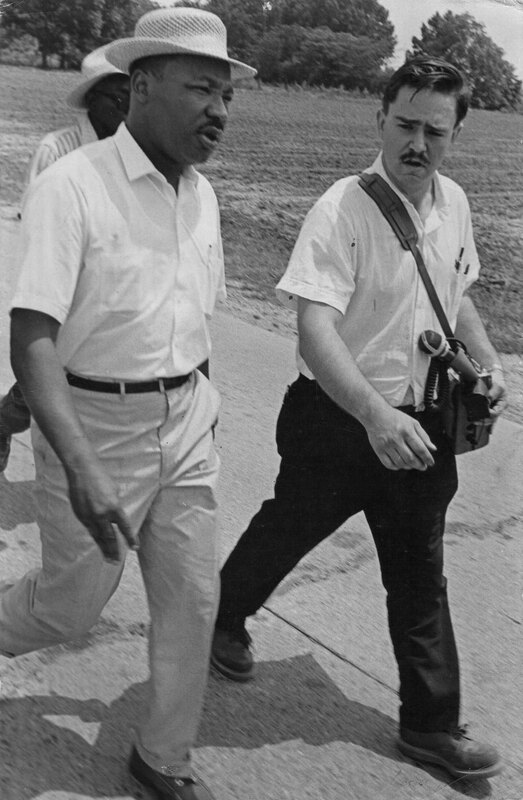 Harcourt Klinefelter, former media director for Dr. Martin Luther King, Jr.
WHERE: Tigua Tribal Courthouse, 9241 Socorro Road, El Paso, TX 79907. WHAT: Rev. 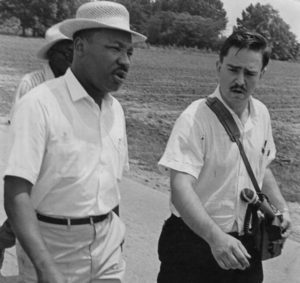 Klinefelter will show segments of a video documentary about his life and work with Dr. King, answer questions, talk about a new book about his life, and give a pre-Thanksgiving blessing to the Tigua community, Stanford alumni, Dutch-Americans, and other participants. INVITEES: Tigua residents, Stanford alumni, Dutch-Americans in El Paso, community residents and activists, and their families and friends. RSVPs are preferred but not required. Tigua residents who plan to attend may notify Aundria E. Garcia at aundria.garcia AT ydsp-nsn.gov. Stanford alumni who plan to attend may notify robert AT rjgaudet.com, tel. (915) 308-0025. Dutch-Americans and other community residents and activists who plan to attend may notify karin AT rjgaudet.com. On July 19, 2018, a jury in Omaha, Nebraska entered a verdict of $713,000 against a financial advisor for breach of fiduciary duty and fraudulent misrepresentation and against a borrower who did not repay a loan from the late Joyce R. Petersen. 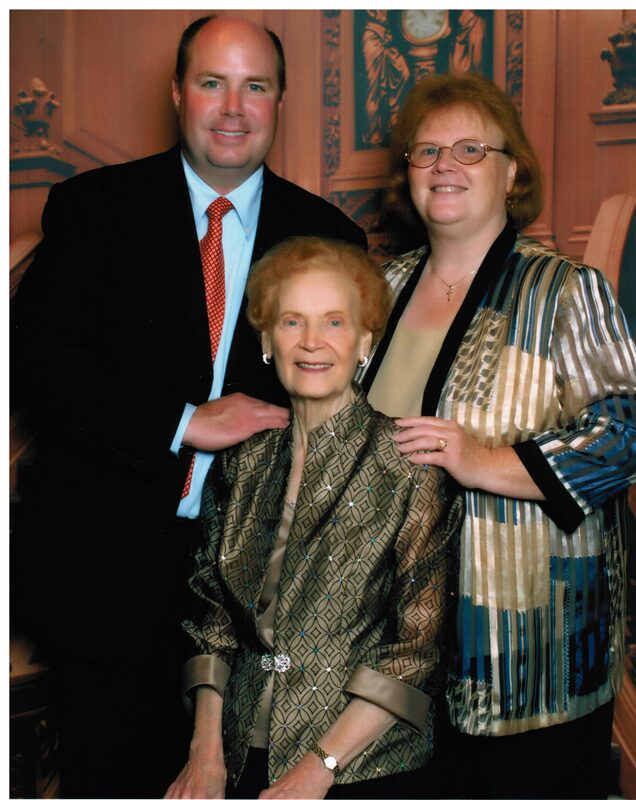 Ms. Petersen was a long-time resident of Omaha and a music teacher who left behind an insurance policy with a benefit of $140,000 for her church in Omaha. 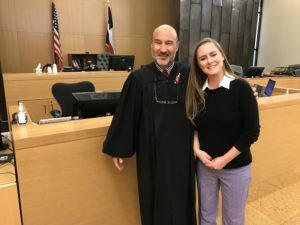 Her children, Erik Petersen and Jilynn Wall, filed a lawsuit against her former financial advisor, William Bitters, and a borrower who did not repay a loan that was arranged by Mr. Bitters. Ms. Petersen’s children brought the lawsuit in honor of their mother’s memory and to seek justice on her behalf. 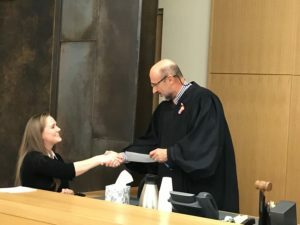 Ms. Petersen’s children testified in a trial that included seven days of evidence, testimony, and closing arguments as well as an additional day for jury deliberation. They testified Ms. Petersen absolutely trusted her financial advisor but was misled. For instance, he told her that he was asking the borrower to repay her when, in fact, the borrower testified Mr. Bitters told him not to repay her but, instead, to use the money to pay for a renewal premium on an insurance policy sold to him by Mr. Bitters which allowed Mr. Bitters to earn a commission. The lawsuit was brought to clear Ms. Petersen’s name, obtain justice, and honor her memory, for instance, with donations to charities that Ms. Petersen loved and to a church that she attended in her last few years. Robert J. Gaudet, Jr. was trial co-counsel, examined numerous witnesses including Mr. Bitters, and made the closing statement. Karin Gaudet-Asmus assisted with legal research, exhibits, and numerous other matters at trial. Mr. Gaudet’s co-counsel was Dallas lawyer J. Hamilton McMenamy. Closing arguments ended on July 18 and the verdict was rendered on July 19. In November 2017, the U.S. Court of Federal Claims in Washington, D.C. approved a $1.7 million settlement of FLSA and COBRA claims that Robert J. Gaudet, Jr. co-prosecuted against the U.S. Government on behalf of employees of the Customs and Border Protection Service who took a training course for canine detection – in El Paso, Texas and Front Royal, Virginia – but were not paid compensation for after-hours time spent studying. Court approval is required for any settlement of a FLSA claim. Although the Government argued no such approval was necessary, the Court sided with arguments researched and drafted by Mr. Gaudet that were submitted to the Court as part of extensive legal briefing. 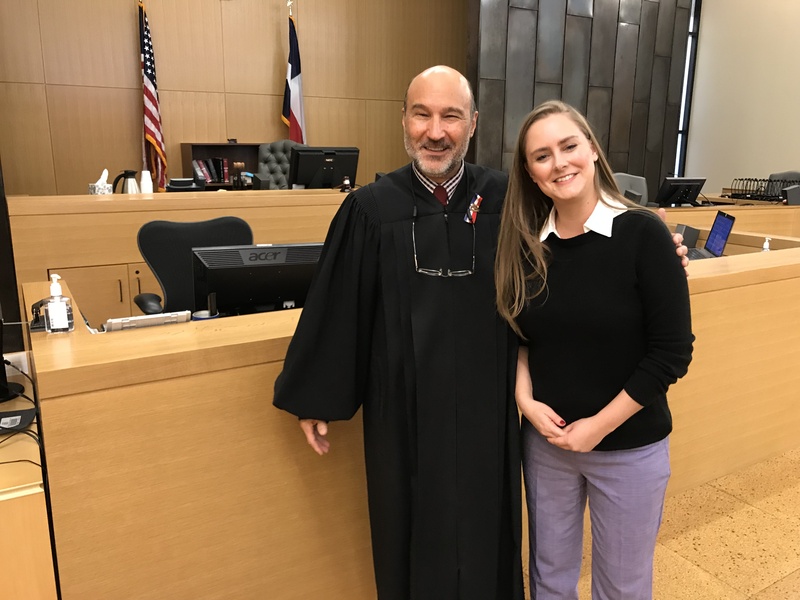 “I am proud to have been a part of this case on behalf of Canine officers in the Border Patrol who were not paid for training time that benefited their employer, the U.S. Government,” said Mr. Gaudet. Mr. Gaudet is a lawyer licensed in Texas and Washington who works on cases across the United States with co-counsel. He is also a member of the National Employment Lawyers Association (NELA). Mr. Gaudet is currently prosecuting another case in Washington, D.C. on behalf of employees of a seafood distribution company, OceanPro AKA ProFish, that provides seafood to the White House, the CIA, five-star hotels and restaurants, and over 3,000 customers but that misclassifies its employees as “exempt” from wage requirements and fails to pay them for overtime hours in excess of forty hours per week. Mr. Gaudet is a fifth-generation El Pasoan whose great-great-grandfather moved to El Paso from Zacatecas, Mexico and whose grandfathers moved to El Paso to serve in the military at Ft. Bliss. 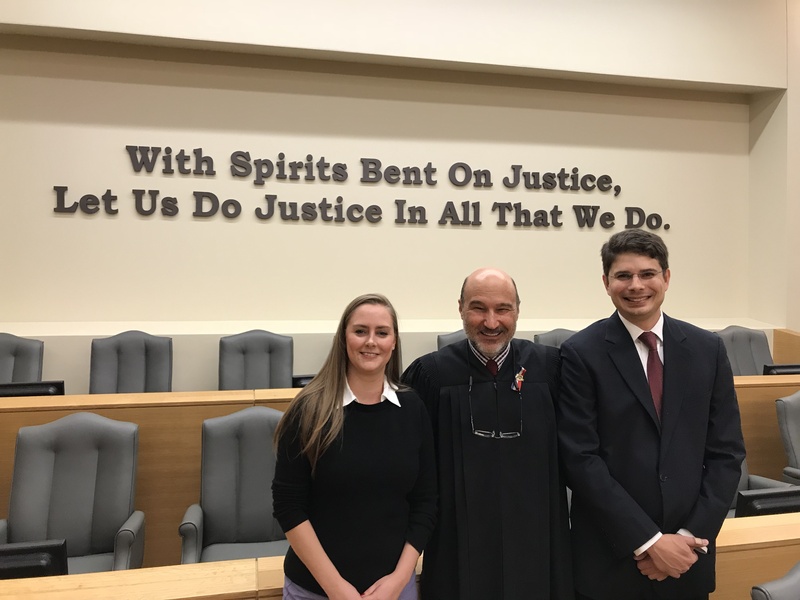 Mr. Gaudet worked for five years at a nationwide class action firm in Seattle, spent 7 years practicing law and teaching in Europe, and moved back to the United States with his wife and colleague, Karin Gaudet-Asmus. 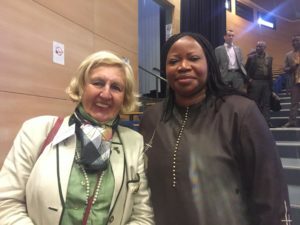 He is currently working on cases nationwide including Seattle, California, Virginia, New York, and Washington, D.C.
Years ago, Prof Dr Ingrid Detter challenged then Deputy Prosecutor of the ICC, Fatou Bensouda, that the USA would never join the ICC. The spirited dialogue was part of a panel discussion organized by Robert Gaudet Jr. at an American Bar Association SIL International Human Rights Committee event in Paris. 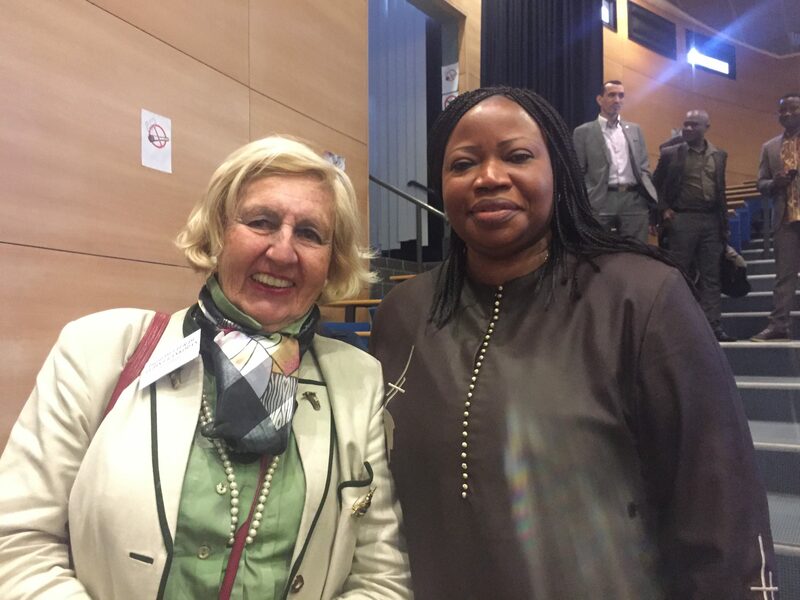 Today, roughly 7 years later, Prof Dr Detter had an opportunityto meet now Chief Prosecutor Bensouda, both pictured below, at the yearly Conference of the Société française de droit international in Lille, France, 20 May 2017. 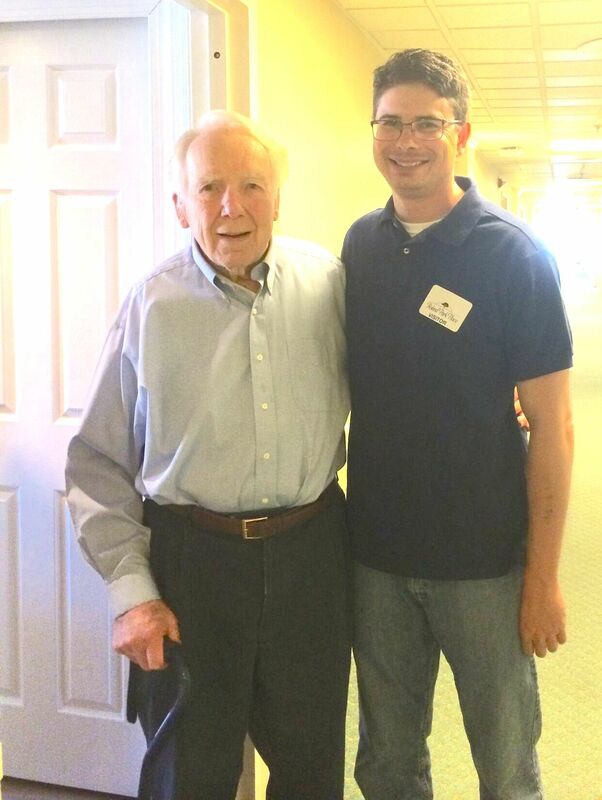 A giant of the law, Clint Bamberger, passed away in Baltimore, Maryland on February 12, 2017, after a life-time of helping the poor, inspiring students, and living his faith through the practice of social justice, and just 2 days before his first Valentine’s Day alone in 64 years. 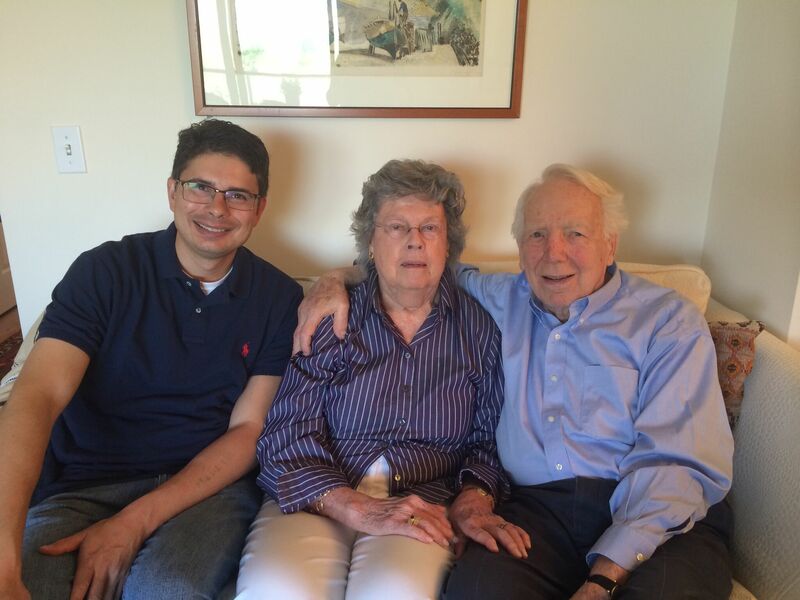 I last saw Clint and his wife, Katharine, in their condo in Baltimore a couple of years ago. I knew he had been the first director, in the 1960s, of the nationwide Legal Services Corporation which provides legal services to the poor, appointed by President Johnson. I did not know (as described in the Baltimore Sun article below) that Clint had argued the Brady case in the Supreme Court. It established the super-famous rule that prosecutors must disclose exculpatory evidence to the defense. That case actually helped one of my former clients, Edwin P. Wilson, who was prosecuted and put in jail for over 20 years after prosecutors withheld exculpatory evidence contrary to the Brady decision. When this was disclosed years later, Edwin Wilson used the Brady decision to vacate his decision and get out of jail after over 20 years. 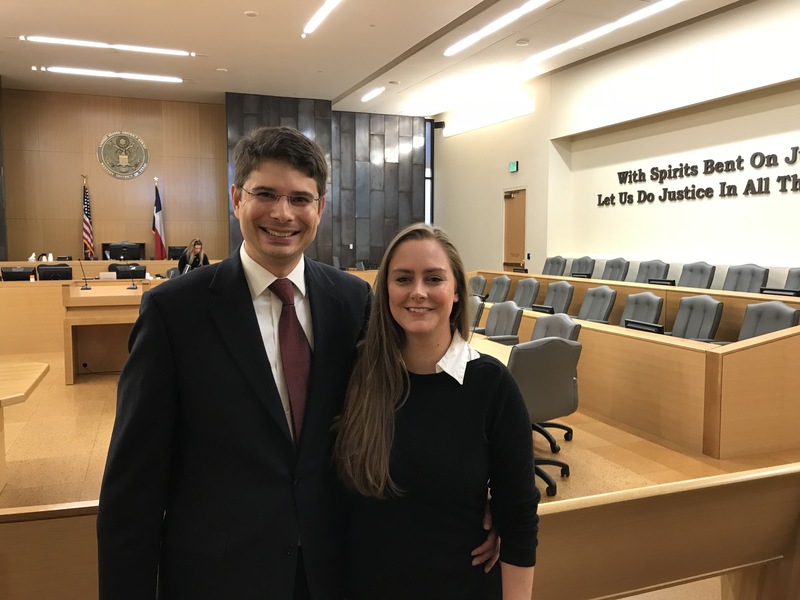 We then represented Edwin Wilson in a lawsuit against the former prosecutors and complainant (many of whom had become federal judges despite having broken the Brady rule as prosecutors years earlier, and one is now a partner at a prestigious D.C. law firm). 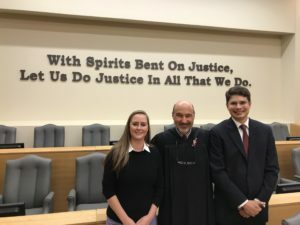 Our case was dismissed on the grounds of prosecutorial immunity although one person, Stanley Sporkin (former CIA executive director), could have been on the hook, as a defendant, since he was not a prosecutor but claims against him were voluntarily dismissed. So, this Brady decision is super-huge in importance and Clint apparently argued it before the Supreme Court. It would not be a decision today if it were not for Clint’s perseverance in taking the case. I did not know that Clint was the former Dean of Catholic University law school. I did not know that he helped set up legal aid services in South Africa around 1994, about a year after I had worked in South Africa. 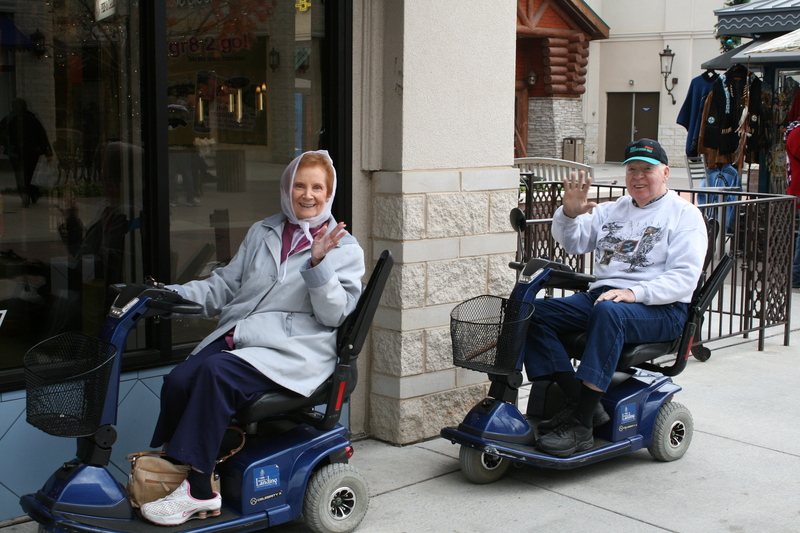 When my wife (Karin Gaudet-Asmus) and I last visited Clint and his wife in their assisted living condo in or near Roland Park, about two years ago, Clint seemed frail but he could walk around with a little bit of trouble. I was worried about his health. But he was as gracious as ever. We were late so we unfortunately missed the food that had been available in the dining hall. I believe his wife, Katharine, made something at the spur of the moment. 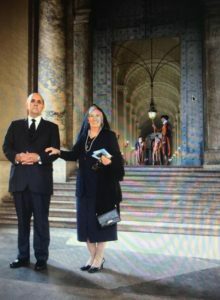 They were kind to entertain us as visitors and share family news and discuss social justice and events which, at the time, involved the riots in Baltimore for which Karin and I served as legal observers with the National Lawyers Guild. I always found Clint inspiring and full of integrity. 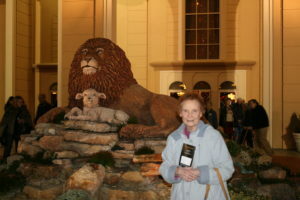 The article, below, says Clint’s wife, Katharine, passed away in December 2016. That is very sad. In 2015, she seemed much younger and healthier when we last saw them together; she helped him walk and get around; and she advised him to take it easy although he was enthusiastic and vigorous as a host. Over the past several days, before his passing, I can only imagine that he might have had tremendous grief in anticipating his first Valentine’s Day alone in over 64 years. In a visit around 2001 or 2001 to Clint and Katharine’s previous condo at the Inner Harbor (which, I think, the father of my high school classmate, Leo D’Aleo, had built), while I was in law school and figuring out where to move to make a difference, I remember Clint told me that Baltimore was a “dying city” and advised me not to return. I was hoping for some links to class action lawyers or social justice lawyers in Baltimore. But I took his words to heart. I looked into some options in Baltimore but never heard back, e.g. from the Angelos law firm. Unlike defense firms, plaintiff’s and social justice firms do not recruit at top law schools across the country. I was offered a summer position at Piper Marbury (where Clint was once a partner int he 1960s, now called DLA Piper) but I did not want to defend Microsoft against antitrust suits, etc., so I turned it down. In retrospect, maybe I should have looked harder into returning to Baltimore. The fact that it was a “dying city” was no reason not to return. If anything, it might indicate there was an even greater need for new lawyers who, in the mold of Clint, could help the vulnerable and dispossessed. When I entered the law profession, people like Clint and Jack Greenberg (former dean of my undergraduate college at Columbia University) are what I had in mind. They are what I expected from the profession – changing the world, helping the poor and vulnerable. They are the lights of our profession. Sadly, since becoming a lawyer, I have not met very many lawyers like them, with the same devotion, understanding of real people’s troubles, concern for the world, empathy, ambition to do better for everyone, drive, sense of camaraderie with like-minded spirits. I hope I can remember to follow the example set by Clint and try to carry a small piece of the torch. Thank you, Michael Susko, for introducing me to him. I am glad you got to know him through the Catholic church in Baltimore, a place that nourished both of you in your faith to care for others and help the vulnerable as a way of life. This example of Clint’s life is the strongest testament to the immense power that faith can have if one actually lives out one’s beliefs. -Robert J. Gaudet, Jr.
Women are sold like cows in India to be brides, victims of human trafficking. Read more and watch a 30-minute video: http://tinyurl.com/jmqj6r4. Robert Gaudet’s colleague in civil rights litigation, Harish, says girls are drowned in water at birth by midwives in parts of India. They are not cherished. To the contrary, in parts of India, people give condolences rather than congratulations when a female child is born. Help us investigate and make a documentary about these injustices. Harish can introduce an interested filmmaker to midwives who will admit to these practices and can be filmed. Contact this firm, RJ Gaudet & Associates LLC, if you are interested in doing something about these grave human rights violations that should trouble anyone with a conscience. Baby girls do not deserve to be scorned and murdered simply because of their gender. Serious inquiries only, please. Thanks to Robert J. Gaudet, Jr.’s mother, Barbara Gaudet, for bringing this 30-minute video to his attention. Today, Robert J. Gaudet, Jr. secured a default judgment against Defendant John L. Henry. The clerk of the federal court in Nebraska issued the judgment pursuant to a motion filed by Mr. Gaudet and his co counsel, Dallas lawyer J. Hamilton McMenamy. The judgment was rendered on behalf of the Estate of Joyce Petersen, a now-deceased widow who was cheated out of $150,000 that she loaned to Nebraska resident John Henry under a Promissory Note that promised repayment within 2 years plus interest. Mr. Henry never paid back a dime. Mssrs. Gaudet and Hamilton will continue to prosecute the lawsuit against remaining defendants including William E. Bitters, the financial advisor who cajoled Ms. Petersen into taking money out of a safe annuity and loaning it to Mr. Henry, and his partner, Robert Boland. Mssrs. Gaudet and Hamilton recently drafted an Amended Complaint with RICO claims against these defendants who similarly advised another person, Mr. Nelson, to loan money to the same John L. Henry. Mr. Nelson never got his money back either. 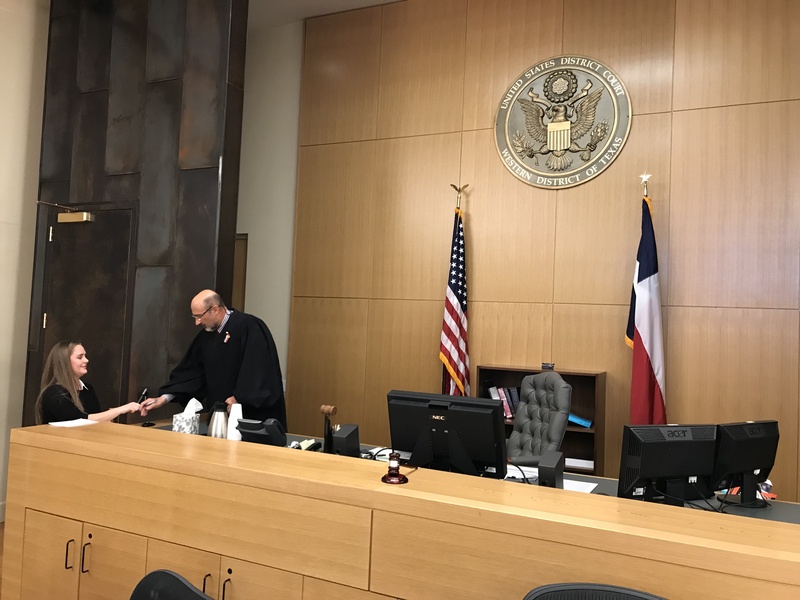 Mr. Gaudet is admitted pro hac vice in federal court in Nebraska. 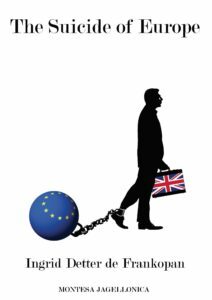 On Thursday, June 23, 2016, Britons vote on whether to leave or remain in the European Union (“EU”), spurred on by a new book called “Suicide of Europe” by Prof. Dr. Ingrid Detter de Frankopan that encourages Britain to leave. “I used to be a great fan of the European Union and the European idea but I feel I have been cheated,” said Prof. Detter in a telephone interview. As a former professor of EU law at Stockholm University and Oxford, she once tutored students on structure and framework of the European Union. Why have her views changed? She believes the European Union is staffed by “incompetent” bureaucrats. Politicians in Brussels are “not accountable” and they’ve “taken their liberties” with their positions. “Some have gone to prison,” she explained. “What really got me angry was that I realized that the EU organized the entire migration thing. They have these offices everywhere, and they say, ‘I’ll tell you, good man, how to get into there. Tell them you lost your passport but don’t tell them you lost your Iphone, and you’ll be fine.’” In short, according to her, the EU has contributed to the recent crisis by encouraging migration. Because Turkey is a candidate state for membership in the EU, Prof. Detter notes that 80 million Turks could enter the EU and that they believe membership is “quite near.” Turks may have the right, as any EU citizen, to freely migrate and seek work in throughout the EU. Migration is part of what frightens British voters. Prof. Detter has tapped into this fear with a book, “The Suicide of Europe,” that provides a rationale for emotional concerns. Her book is available through Amazon.co.uk. Prof. Detter worries that elitists in Brussels “are trying to make a United States of Europe and rub out the nation states. People don’t’ really like that. People like their roots and traditions and their history.” Others, however, may disagree. National, cultural, and linguistic divisions led to devastating wars in Europe and caused a need for greater unity, which was met by the EU’s institutions and legal framework. Since the EU’s founding, there has been unprecedented peace in Europe. In Prof. Detter’s opinion, the lack of accountability and democracy have led to unwelcome legislation. For instance, she pointed out, “there is an EU regulation that the butter must not be next to the margarine in the shop.” The purpose of the regulation is “so people won’t take margarine by mistake or take the butter by mistake.” This regulation can pose a hardship for a small grocer, like the one in the small French village of 220 in Burgundy where Prof. Detter spends part of the year, without much refrigerated shelf space. The shopkeeper in Verrey, France told her, “we have such little room here, I am not sure where to put the butter. We have been told we must put it away from the margarine.” Not believing such a rule could exist, Prof. Detter investigated and found that an EU regulation does require the separation of margarine from butter. It is a veritable segregation of dairy products. They must be kept separate but equal in their own refrigerated spaces. EU Member States pay annual dues to be a “member of this club.” “When you buy a loaf of bread, 1 percent of what you pay goes to Brussels,” Prof. Detter calculated. There is a minimum VAT of 15 percent in EU Member States that rises to as much as 25 percent in Croatia. “A slice of it goes to the EU,” Prof. Detter indicated. She implied that exiting the EU might lower VAT rates for Britons. In Switzerland, which is not in the EU, the VAT is only 8 percent, she pointed out. Although most people view the EU as a way to take down boundaries, at least among Member States, Prof. Detter has pointed out that the concept of the EU requires the strengthening of outer wall boundaries. It is a “customs union with a huge wall around it.” Putting it that way, the EU does not sound entirely different from Donald Trump’s vision for America. Some Britons apparently do want a stronger wall around their own nation, not just the EU. Millions of Britons feel the same way, although they might not have the statistics, history, or law as readily at their disposal as Prof. Detter. “It all becomes very suspicious what they are up to if you cannot find a whole text,” she said. Making a reference to President Woodrow Wilson, she remarked, “like Wilson said, we want open treaties, openly arrived at. That was one of his points in 1919.” Of course, everyone knows how President Wilson’s treaty to end WWI fared. The next devastation, WWII, was unfortunately soon to follow. The lack of sufficient democracy is a long-standing criticism of the EU, often written about in academic literature. 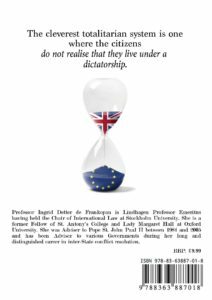 Prof. Dr. Detter is not alone with her criticisms, but she is very timely with the release of her new book over the past four weeks, just coinciding with the British vote. In the past, the EU responded to criticisms about the democracy deficit with reforms that gave the European Parliament more power over legislation and that gave citizens an opportunity to raise issues with the European Commission through a popular petition. However, as Prof. Dr. Detter’s criticisms indicate, these reforms were apparently not enough to appease a majority British voters. Half of them now indicate they’d prefer to leave the European Union. Ironically, the British debate intertwines with the American debate over whether to build a larger wall with Mexico or exclude Muslims from entering the United States, views expressed by Trump that Democrats and many Republicans have criticized. For Europeans, migration raises an existential question of who are we but it also raises a practical question of how many migrants, and from where, shall they accept? Prof. Detter points out the EU concluded an association agreement with the Ukraine to allow 43 million Ukrainians to enter and travel without visas throughout Europe. The measure was ratified by all of the EU member states except the Netherlands, and 450,000 Dutch protested against it. The Dutch government held a referendum and the majority rejected the measure. Rather than accept this popular rejection, the EU said the Dutch had to hold another referendum. Prof. Detter lists this as an example of how “they force things on the Member States like they did in Ireland” and this is part of the “democratic deficit.” The disconnect between Brussels and national sentiments is part of what motivated Prof. Detter to write her book, “The Suicide of Europe.” “They can’t get away with this sort of thing,” she thought, and she strove to “finish” a book that had been on her mind for years. The vote on June 23 will be historic, whether it results in Britain’s exit (“Brexit”) from the EU or not. Either way, it is a period of soul-searching, deep thinking, and questions about the best way forward. Prof. Dr. Detter’s book is a pointed but useful contribution to the public debate. It is not clear whether the real “suicide” of Europe would result from the continuation of the EU or its weakening through the departure of one of its major contributor nations. Prof. Detter is an English barrister and Of Counsel to American law firm RJ Gaudet & Associates LLC which handles international law, human rights, civil rights, class actions, and other matters. The views of Prof. Detter do not necessarily reflect those of the law firm.